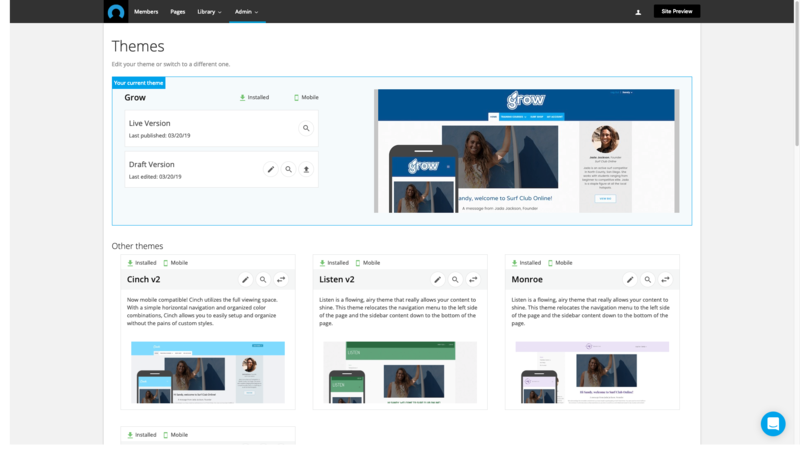 With new mobile-responsive themes, mobile support for all content types, and redesigned customer-facing pages, CustomerHub now offers a 100% mobile-friendly experience to your customers. Super-charge customer engagement with a site that's easy to consume anywhere. 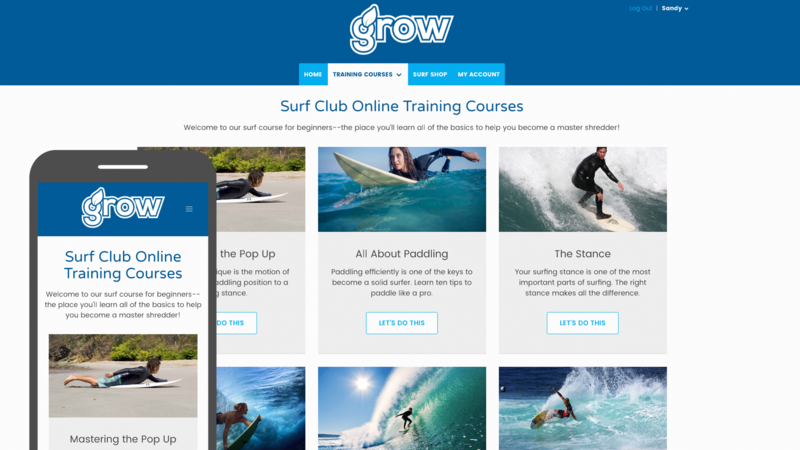 We've added five new mobile-responsive themes including Grow, Monroe, Synergy, Listen, and Cinch. These new themes were designed to keep customers focused on your content and look great on any device. We've also added mobile support for all content types including text, images, video, audio, etc so you can rest easy knowing all of your existing content is all set to join in on the mobile party. 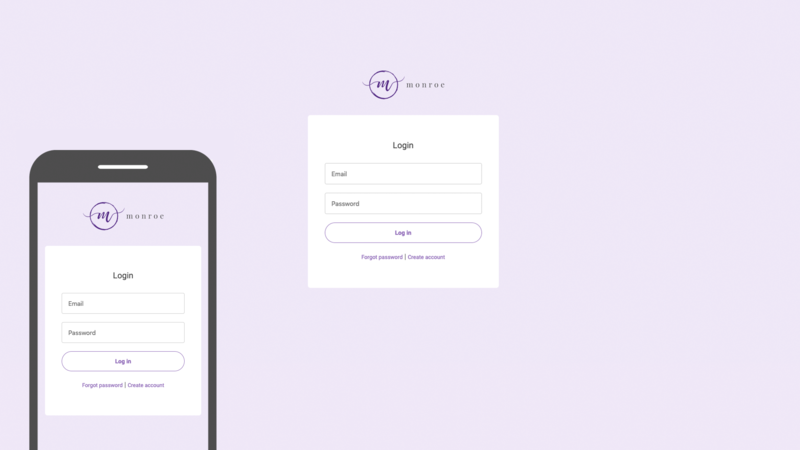 Make a great first impression with a fresh new login page design. In addition to getting a new look, all customer-facing pages (login, forgot password, and user registration) have also been integrated with our theme engine so they'll stay up-to-date whenever you update your brand. Our new theme editing and preview experience allows you to switch to a new theme or make changes to your existing one with confidence. Rest easy knowing that theme changes won't impact your customers. Our theme engine has been redesigned to give you maximum control when editing your theme. A new 'Draft Version' of your theme allows you to implement and preview changes before publishing them live. Theme preview gives you the ability to test drive your site with different themes. Now it's easy to decide which theme is right for you and optimize your content before making a theme switch. For more information about theme improvements please read this article. An update to the content editor and the introduction of new page templates help you save time when creating or editing content. The good 'ole WYSIWYG editor has been upgraded at last. We added a few new goodies including built-in spell check, undo, custom colors, and a remove formatting button. A host of minor annoyances and bugs have also been eliminated so things work just the way you'd expect. We've added three new custom page template options including a Welcome page, Course page (pictured above), and Course Menu page. These templates offer a 'code-free' option to create beautiful page layouts. Keep an eye out for more custom page templates coming soon. With our new Partner Ninja page, theme upgrade services, and ability invite new users to your application you're only a click a way from getting the help you need. 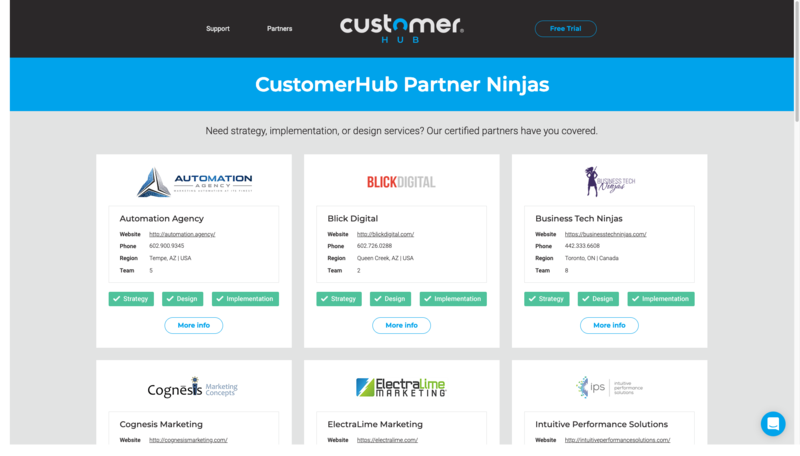 Our new parter certification program has yielded a superb lineup of certified CustomerHub Ninjas ready to help you with strategy, design, and implementation services so you can get your CustomerHub site 'ninjafied' straightaway. Check out our full list of Partner Ninjas here. We've restored the ability for you to invite new users to your CustomerHub account so you can easily invite a web developer, support representative, or a Partner Ninja to help with your CustomerHub site. For more information about inviting new users please read this article.